Deb Dixon retired in May after 44 years at WKRC-TV. 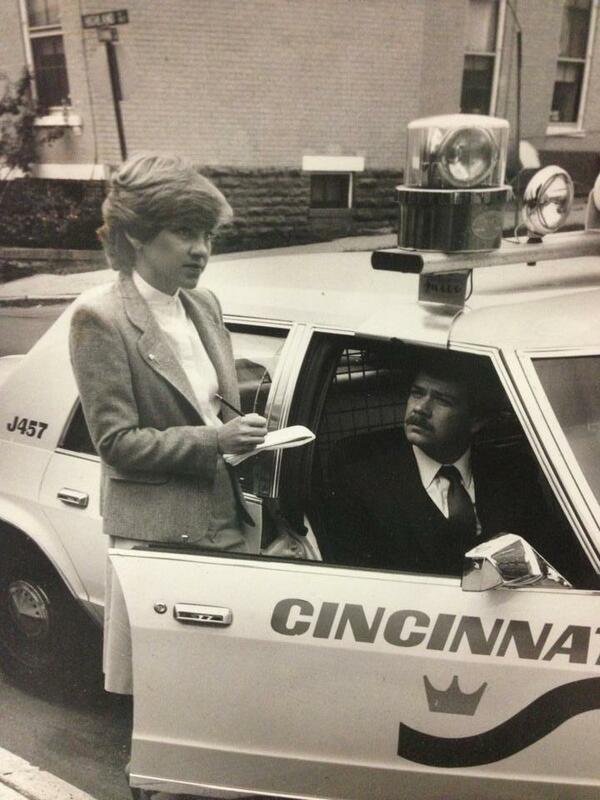 Retired TV reporter Deb Dixon will be honored for her decades of police reporting, and helping "Cincinnati become a safe place for all of us to live and work," by the Matt Haverkamp Foundation Nov. 13 at the Hilton Cincinnati Netherland Plaza Hotel. Dixon, who retired in May after 44 years at WKRC-TV, brought Crime Stoppers to Cincinnati in 1980. Crime Stoppers has led to the arrests of hundreds of criminals by paying more than $100,000 per year in reward money that was donated by Greater Cincinnati people and businesses. She will be saluted by Rob Braun, Nick Clooney and possibly other former Channel 12 coworkers at the Hall of Mirrors fund-raiser for the Matt Haverkamp Foundation. Dixon covering a crime story for WKRC-TV. The foundation was established in 2005 after the death of Haverkamp, a Golf Manor K9 police officer. It has raised more than $450,000 to purchase, train and outfit 54 K9s for area police agencies. This is the first tribute gala for the foundation, which has raised funds with a golf outing and a 5K run. "Deb Dixon was perfect for us to honor," says Nancy Haverkamp, Matt's mother and event co-chair. "For us, Deb is a community champion, someone who helped fight crime and make this community safer all her career." When she retired, Dixon told me that what she was "proudest of is bringing Crime Stoppers here. I started trying to do that in 1978, (Cincinnati) Police Chief Myron Leistler just didn't want to have anything to do it. Nobody wanted to work that close to the media. Eventually after a couple of years he said, 'Go ahead. Try it. It probably won't work.' And it turned out to be one of the most successful in the country – not because of me, but because of this 'Not in my back yard' mentality of Greater Cincinnati, and the board that raises all the money... For a long time, we (Channel 12) were the only ones who did Crime Stoppers, and eventually they expanded it to all the stations, which was smart." Crime Stoppers honored her at a breakfast last month. Dixon started at Channel 12 in April 1974 as a graphic artist, and was urged to switch to news reporting by Clooney, Channel 12's main news anchor in the 1970s and her mentor. She started by going out "at night to do interviews. Then I produced a little bit. Eventually they said, If that's what you want to do, you can be a reporter." Tickets for the event are $150 per person, and $100 for law enforcement officers, are available here. All proceeds will provide additional K9s for local police department.